- about 30 , mini, buttons, flat 4mm, mix color, sooo cute. 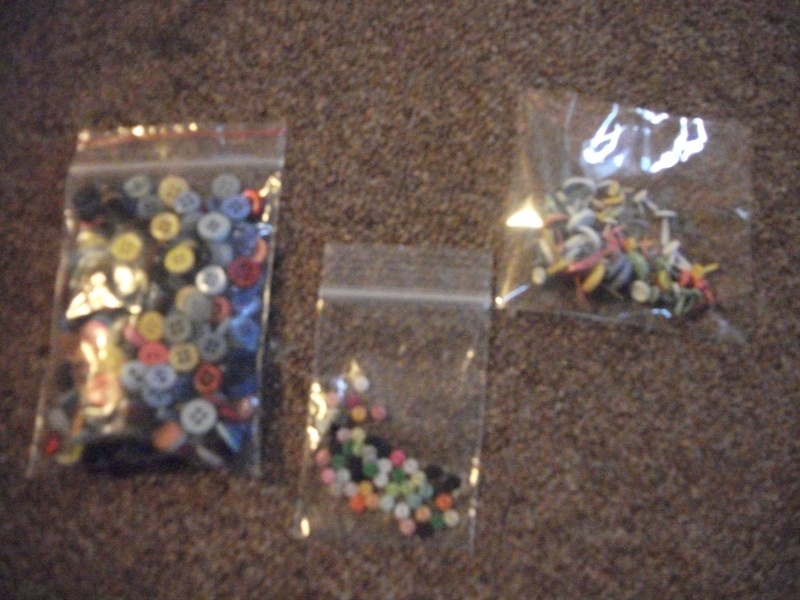 - a bag of at least 50 mixed color, 8mm flat, buttons, with 4 holes. - and about 30 button brads, mix sizes, and mix colors. can someone tell me how to get photos from my digital camera, onto here. you can either upload the files from your computer to somewhere like photobucket and then just post the links here or you can click on the "host an image" button above (the one with the picture & the disk on it), select your file in the browse tab, then once it is uploaded, you will need to copy the code from the middle box that comes up (image) and paste it here. Do you still have these? I'd be interested in buying them if you do.